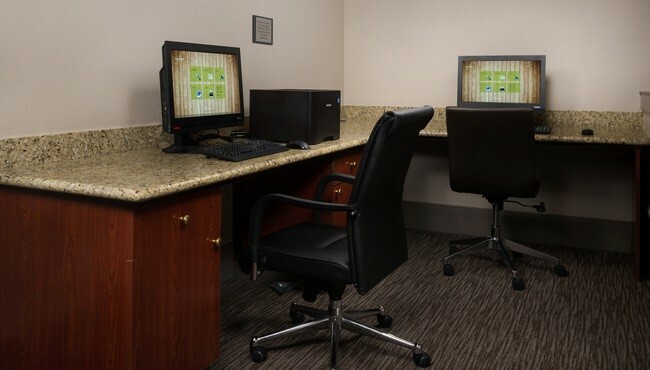 The Country Inn & Suites accommodates travelers with complimentary shuttle service to and from Portland International Airport (PDX) as well as the Cascade Station shopping center. To unwind after your flight or trip to the mall, grab a novel from the Read It & Return Lending LibrarySM to read in your hotel room or by the hotel’s patio fire pit. During your stay in northeast Portland, you can enjoy on-site amenities that include free Wi-Fi, an indoor pool and a fitness center. 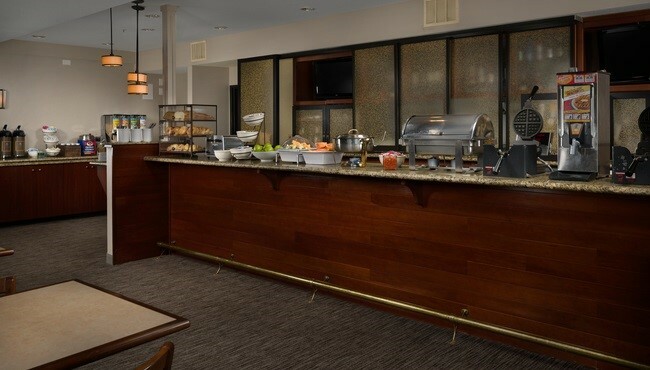 Wake up to the complimentary breakfast, which features a rotating selection of hot items. Guests with a sweet tooth can indulge in French toast, pancakes or Belgian waffles, while healthy eaters can opt for fresh fruit and oatmeal. When you’re ready for dinner, Brenner's offers on-site dining with options such as salads, sandwiches and wings. The restaurant also features a full bar where you can relax after wrapping up your meetings.